A Condominium Association’s liability is once again the subject of a recent New Jersey Court’s decision. First, the NJ Court reviewed the Condo Association’s responsibility to maintain specific sidewalks within the Condo development. Now the Court has addressed the Condo Association’s duty of care to replace a missing handrail. A New Jersey Appeals court has ruled that a Condominium Association’s duty to ensure that common areas are kept in safe conditions included the use of a center handrail on a wide staircase, and did not hinge on the legal status of the individual. Under the Premises Liability Doctrine the property owner’s duty of care depends on your status while on the property. The categories are – Trespasser, Social Guest and Invitee. The property owner’s duty depends on what category you fall within. 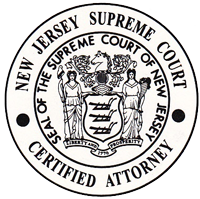 In Lechler v. 303 Sunset Avenue Condominium Association, the New Jersey Appellate Division decided that an association can be held negligent if a unit owner is injured because of a dangerous condition in a common area and that duty extended to residents of the condominium building, regardless of their characterization as licensee or invitees. In this case the plaintiff was injured when he stumbled on a flight of outdoor steps at his condominium in Asbury Park, New Jersey. The flight of steps was 158 inches wide. There were handrails at either side of the steps, but none down the center. At one point there had been a center handrail, but it had been removed and never replaced. The Association claimed that a state building code inspector in 2012 stated a center handrail was not required. At trial the plaintiff testified that, upon stumbling, he quickened his pace in an effort to regain his balance, but ended up breaking his heel when he reached the sidewalk. In order to establish a prima facie face case of negligence, a plaintiff must demonstrate that the defendant owned a duty of care, that the defendant breached that duty and that the breach caused the plaintiff’s injury. The case of Thanasoulis v. Winston Towers 200 Association, states that the most significant responsibility of an association is the management and maintenance of the common areas of the condominium complex. Under the Condominium Act, associations are responsible for the maintenance, repair, replacement, cleaning and sanitation of the common elements. The Court stated that the association had a duty to the unit owners to maintain the stairs and that included the duty to replace the missing center handrail. 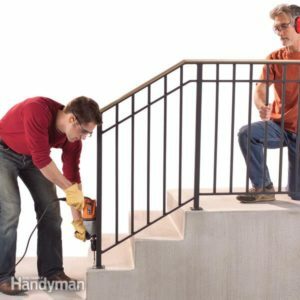 The Court stated that although it was obvious that at one point there had been a center handrail, the association was in a better position to know that its absence created a potentially hazardous condition. Understanding the duty which is owed to you is vital in all slip and fall personal injury matters. Whether you fall on a sidewalk in the middle of town or one located within a condominium complex; your status is factor which will determine if the property owner is liable for your damages. The attorneys at Gale & Laughlin are here to assist with any questions you may have. Please do not hesitate to contact us.